At St Matthew's we are a Growth Mindset school. Welcome to the pit! 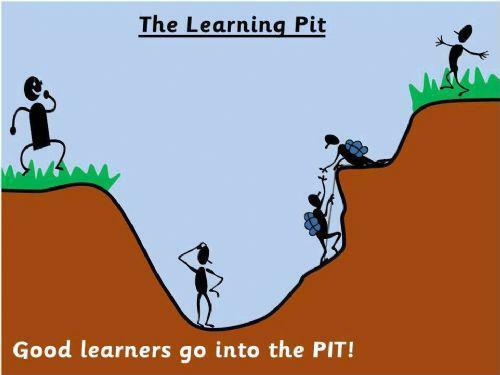 You may have heard your children talking about how they've been into "the pit" at school! Above is the picture that is displayed in all classrooms throughout the school and is a visual aid for the children to describe their learning journeys throughout the day. We want the children to understand that it is okay to be stuck, and that some of their best learning is done when they find things the hardest. Below is some further information about Growth Mindset and what it means to us at St Matthew's, including some examples of motivational quotes displayed around school and the powerpoint presentation from the parents' evening and morning on Growth Mindset. There is also a response to the feedback that we received from these parents' meetings, as well as some further reading on the subject. 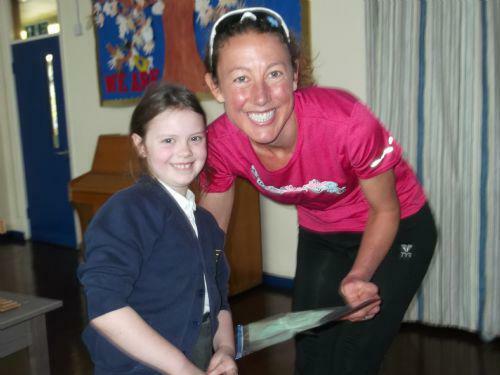 In the past, as part of annual Growth Mindset Day we have invited in 4 Time Ironman World Champion, and current Ironman World record holder, Chrissie Wellington MBE to talk to the children about her life and what it takes to be successful, whether it be academically or in the sporting world. The children were thoroughly inspired by her, with many of them saying that they were now eager to take on a triathlon challenge. An interview and over view of Fixed and Growth Mindset. Growth mindset display in school.